12.12mm x 12.12mm / 0.477in. x 0.477in. Small Praying Hands Open Disc Charm by Rembrandt Charms. The width is 1/2 of an inch. 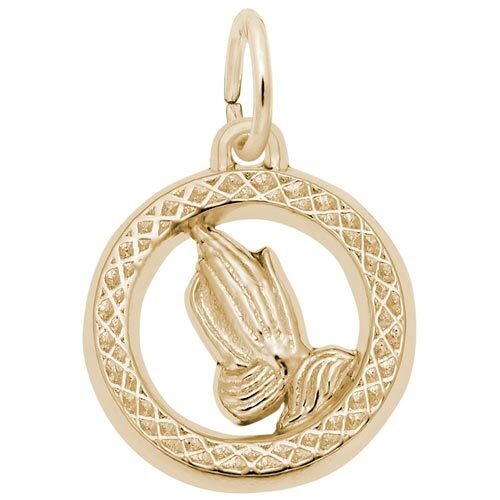 Our Small Praying Hands Open Disc Charm is a symbol of trust, hope and unity. Adding this item will proudly showoff your faith.